Blog | Joanne Levy | Writer of words. Slave to cats. Yes, it’s been forever since you’ve heard from me but I’ve been busy behind-the-scenes and haven’t had much of interest to share, but now I do! What do you think? It has all the great elements a cover should have – fun image, author name, and the name of the awesome publisher. Trifecta of awesomeness! Oh right, and the fun title. Okay, so that’s four things. A square of awesomeness? Victoria Adelman is lonely. Her best friend has moved away, leaving her to spend the summer alone. One day, on her way home from a bat mitzvah, she meets Jasmine, her next-door neighbors’ granddaughter. Tori hopes her friendless status is about to change. Later, in her garden, she meets Jasmine again, but Jasmine doesn’t recognize the filthy, smelly girl as the one she met earlier. In a moment of insecurity, Tori tells Jasmine that the girl she met before was her twin sister, Vicky. Tori is sure she can fake being that girl in the dress—it’s only for two weeks. But then Jasmine announces she’s staying with her grandparents for the school year. Tori needs to figure out what to do: come clean and lose her new friend, or live her life as a fake. Stay tuned for book launch info – I’m planning a couple of events for September (in Toronto and Burlington) and would love to see you! I’ve been a very neglectful blogger, I know, but I find myself so busy with many things at once and end up only posting when I have big news. Well, guess what? I have two middle grade books coming out this year from Simon and Schuster, and they are multi-storyline, choose your own path type stories. But they are slightly different from the Choose Your Own Adventure books that you might be used to. These are kind of romancy, and the typical CYOA format doesn’t really allow for a lot of character development and story building (reading more like a walk-through video game), so in these books, there are fewer, but more meaningful choices. There are many ways this story can go. YOU decide what happens next. And if you don’t like how it ends? Just start again! The Yes No Maybe So series is an interactive reading experience about friendships, family, and all the feelings. Every day before and after school, Tara Singh helps her parents at their Indian sweet shop, but the only business Tara is interested in is show business. When a local theater announces a casting call for The Wizard of Oz, Tara is determined to wear the ruby slippers. As she prepares for the audition, Tara is distracted by some unexpected drama: There is Rohan, the delivery boy her parents hired. Hiro, her forever crush, who wants to rehearse with her. And Desmond, a shy theater nerd who has started lighting up her heart. Can Tara win the part and get the guy? You have the power to choose what happens…and the chance to choose differently next time! Yael Lewis is dreading her bat mitzvah. 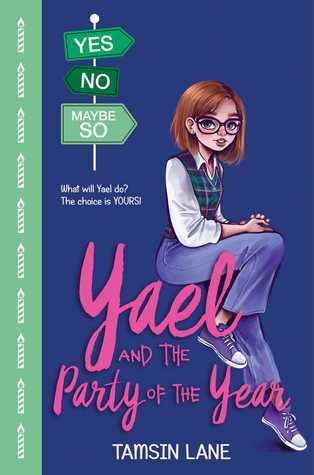 Her loving but clueless mother insists on throwing an epic birthday extravaganza, even though Yael hates the spotlight. Despite herself, Yael is excited when her crush Cam accepts the invitation. But then she meets Gabriel, the emcee’s son, whose chill attitude makes her rethink the party plans. Thank goodness her old friend Eli will be there to keep her steady, even though he’s returned from camping a little bit different. Will Yael’s party be the best…or a bust? Both books are available for pre-order at your retailer of choice and you can also add them to your To Be Read list at Goodreads. Thanks for your support and stay tuned – I may just have some more news coming soon (I did say I was busy…). It’s no secret that I’m a redhead. As a kid, I wasn’t so fond of the hair that made me different. As an adult, I now appreciate my gingerness but feel like maybe I needed to grow into it, to be comfortable in my own skin before I could embrace having hair that made me stand out. It took a long time to realize it was an essential part of me, what made me me. So when I heard about the opportunity to participate in an anthology by and about redheads, especially Canadian redheads, a club of which I am a very proud member, I was stoked to join in. The result is my story SEEING RED which is included in this awesome anthology, CANADIAN GINGER from Oolichan Books, edited by Kim Clarkand Dawn Marie Kresan. SEEING RED is a sassy and tongue-in-cheek look at some of the stereotypes all redheads have endured at one time or another. I hope you’ll check it out and enjoy not just my short story, but the essays, poems, and fiction that embrace the redhead experience. Get your copy at Bryan Prince Booksellers, your local indie bookshop, or Indigo. I know, I know, it’s been forever since I posted. I’ve been busy with some writing things (news to come!) 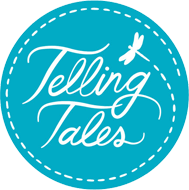 and some personal things, like an upcoming move, and an otherwise busy summer, but I wanted to personally invite you to come see me and many other amazing authors at this year’s Telling Tales Festival on September 17, 2017! This is one of my very favourite book events where tons of authors and book lovers come together for a day of stories and fun at one of Southern Ontario’s best-kept secrets – Westfield Heritage Village. Even if you’ve already bought (and hopefully loved) CRUSHING IT, if you’re in the Hamilton, Ontario area, why don’t you come out to help me celebrate the book? I’ll be reading from the book and answering questions AND will be signing while you mingle and consume snacks. There will be giveaways, too! Bring the book you’ve already purchased for me to sign or there will be copies there to buy. Please join the official Facebook event so I know you’re coming. Hi again! I know it’s only been a short time since my last post–the awesome cover reveal for CRUSHING IT–but as exciting things start to happen, you’re going to hear more from me. This means something exciting has happened! CRUSHING IT is well on its way to being out in the world. Yes, it’s still early, but the fine people at Simon & Schuster have loaded it at many of the various retailers, their site and Edelweiss, which means electronic and paper review copies are coming soon*! So, getting back to the title of this post, how can you show your love? Well, here’s the thing, publishers don’t just load books early because they’re super-organized, they do it also to get a feel for how popular a book is going to be. If it looks like a book will be popular, they’ll print more of them and that means everyone wins. See where I’m going with this? So, if you pre-order books, that tells the publisher, “Hey! I’M SUPER EXCITED ABOUT THIS NEW BOOK FROM JOANNE LEVY THAT I’M SURE IS GOING TO BE HILARIOUS.” And isn’t that exactly what you want my publisher to know? If you were going to buy my book anyway (THANK YOU) please consider pre-ordering it. If you weren’t going to buy it, well, now that you know it’s going to be hilarious, please consider pre-ordering it. 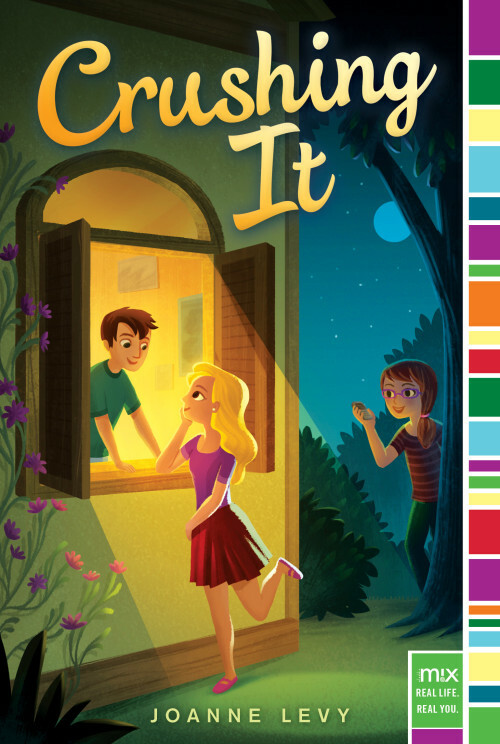 Even if you’re not a tween, I’m sure you know one who would love this book. If not, there will be a lot of charities looking for toy drive donations in December and I don’t know about you, but I’ve never seen a toy drive bin overflowing with books (until I come along, of course) but many kids would love nothing more than a few good books to read for the holidays. My home bookstore, Bryan Prince Bookseller (if you buy from them I will sign them for you–just let them know you would like your book signed/personalized. Plus, they will ship anywhere! ), Amazon, Amazon Canada, Chapters/Indigo. And if you prefer digital, you can also pre-order your ebook at iBooks, Google Play, Kobo. If you are not planning to buy my book, that’s okay–there are still ways to help, though we’ll talk about those ways down the road a little because it’s early yet. Though I will thank you for reading this far and being a great supporter and cheerleader! *If you are a reviewer and would like an advanced copy, please contact me or your Simon & Schuster rep.
CRUSHING IT – Cover reveal! CRUSHING IT doesn’t come out until December of this year, but the fine folks at Aladdin M!x have already got their ducks lined up and there’s a sweet cover for it. You want to see it, right? I know you do. And you’re going to love it because they got it just right, from Kat and Olivia right down to Tyler and his mysterious hair. Seriously, it’s the cutest cover I could ever imagine let alone hope for. To see it, though, you’ll need to visit my friend Evie’s blog over at Bookish. She’s hosting the cover reveal and a giveaway to celebrate it. One of the reasons I love Evie and wanted her to help with my cover reveal is that she is such an amazing book reviewer. Her reviews are ALWAYS thoughtful and interesting and it’s obvious she takes a lot of time reading and making an effort to articulate her thoughts about what she’s read thoroughly and concisely. Evie reviewed SMALL MEDIUM AT LARGE a while back and while it’s obvious she liked the book (whee! ), what I really appreciate about the review is the way she put so much thought into it and talked about why she liked it. Authors may pretend we don’t read reviews, but we do (although sometimes secretly) and when someone puts this kind of effort into it, it makes the writing that much more worthwhile. So go on and click through to see what those cover magicians created for me. Enter the raffle and check out some of Evie’s amazing bookish designs too–she’s created so many cool things for book lovers! I should note that CRUSHING IT is also available for pre-order at some retailers. You may not know this, but pre-orders are a great way to support authors because it tells their publisher that people are REALLY EXCITED about the book. So, if you were going to buy it anyway, please pre-order it at your retailer of choice.